Digital design toolkit for app building with broad choice of design symbols that can be reused and shared with the design community. Sketch is the best tool for UI/UX designers. Pros: It's very light weight and easy to use. You'll get the hang of it even if you are a newbie as a designer. The files are well constructed and even if you have lots of screens inside one file, it will open up easily with almost no waiting time. The developers behind Sketch constantly push updates. The pricing structure is a lot different than what Adobe does and I believe this is how things should be. You buy one license per device per year (different discounts are applied for different volumes). You get constant updates through out the year and the interesting part is that when that license expires, you can still use the software forever with the last version you had before it expired. No subscription. You have a big ecosystem of plugins that give you access to some amazing tools like Zeplin.io (for layout exports to devs) and Marvel (for prototyping), but also to independent projects that really make your life easier. Libraries and Symbols are amazing and once you master them, you work will improve tremendously because you won't spend time copying, redoing or modifying repeating UI elements. Exports to different resolutions for iOS and Android UI assets is as easy as clicking three times on a plus button and then pressing the export button. How amazing is that? Such a time saver! You also have prototyping tools inside Sketch to link screens between them, you get missing fonts alert that know which fonts are exactly missing. Overall it changed my workflow completely! Cons: The image tool needs more work, as it doesn't have too many options to work with. You can fix this with different plugins or libraries. Hopefully more features will be added soon. The preview iOS app worked well in the beginning but now it's just awful. It's worth mentioning that occasionally, when trying to open a file that was created with newer version of Sketch than the one that you are currently using, it won't allow it. This practically makes you upgrade your version. Overall: Great software for UI/UX designers, great for sketching, mockups, previews and prototyping. Highly recommend it! 1)Command Keys - I LOVE that I don't have to remember crazy key commands to create simple things like textboxes and shapes. 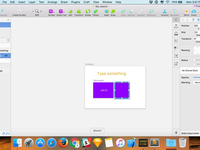 In sketch T creates a textbox, O a circle, R Rectangle! So easy to remember! 3) Symbols - I love not recreating the same button over and over. And that it's easy to create symbols and also change small things with text override. Helps a ton with consistency! 4) Saving! I love auto-save and if I accidentally deleted something I decided I like the revert ability is awesome! I can't tell you the nightmares I had in college because I forgot to save! 5) Plugins - There is an awesome community around this product and they create great tools to make my life even easier! Cons: It's great they are always trying to stay up-to-date on the latest and best but as they find better ways to do things it sometimes messes up things like symbols and UI Kits which means rework to match the new functionality. Overall: I love how quick they are to make bug fixes and that they are always pushing the capability of what the program can do. They also are not shy of plugins and integrations with Invision and Craft which makes them a better product. Keeping this short, Sketch is what UI designers should be using - not Adobe anything. Pros: Sketch feels purposeful, like the creators knew there was a hole in the design market that needed a way to do both wire framing and high fidelity mock-ups with ease and the flexibility of Illustrator. Right when you think Adobe's "next big update" is going to make Sketch obsolete, Sketch comes out with the next wave of features, improvements, and 3rd party plugins that just remind you why you've stayed for so long. Cons: The only con I can think of is compatibility between how Sketch renders vectors with how Adobe uses it. For the most part, you don't have many issues. But once in a while you'll work with some "old school" team that sends you an Adobe file containing assets for your UI project that you'd rather open in Sketch. Then you do, and it's hit or miss. However, a good designer has Adobe, can clean it up and make it usable in Sketch with a little expert know-how. Overall: I adopted Sketch with the free beta years ago in desperation of not switching back and forth between apps like InDesign, Illustrator, Photoshop, Pixelmator, Omnigraffle (yup), and other apps that now feel like makeshift solutions to doing proper UI design. Adobe now has XD, but in my opinion, it's too little too late. I'm beyond knee deep in Sketch and far too busy to re-learn what I already know in what feels like OG UI design tool for the modern designer. - copy/paste styles, it will allow you to copy sizes, colors, spacings, etc. Overall: Great product for beginner to advanced designers, it works great to prototype and preview designs right from Sketch, making your life easy. It has a bast collection of templates and libraries to accelerate your design process. Pros: How seamlessly SK integrates with invision, the workflow is flawless. I love how sketch (unlike Adobe) really emphasized integrating with 3rd party software. Just create the web comp in sketch, synch it with invision and watch how all the assets flow into your project, along with invision inbuilt ability to create a prototype out of your design and let team members comment it, it's truly the best web design work flow I've seen. Cons: No direct selection. It drove me crazy, that objects are can't be easily selected and manipulated like they can be in PS/AI. And god help you if try to import any vectors back into illustrator. (crazy nonsensical shapes). Which means the only way to establish a coherent work flow with illustrator, is AI into sketch-never the other way around. Overall: Remember how you dreamed how you could have an illustrator like software that's built to build websites? Well you do, and it's quickly becoming the industry standard for web design, I don't know a single product design studio, web design agency or startup that doesn't require their designers to know sketch. It seems everyone is getting on board. The only creatives out there that don't use it are ad agencies that for some reason are still stuck making websites in photoshop. Oh well. Still top of the line. Pros: Where Adobe towered over the creative software world with established workflows and complicated interfaces, Sketch reimagined the world of UI design in a brand new, simpler way. It paved the way for many of its competitors (Figma, Adobe XD, InVision Studio) by helping the industry see what UI design should really be like. Though some of those competitors have introduced new and exciting features, I've still stuck with Sketch because of how quickly I can work in it is not to mention the low price point. I threw away my Adobe Creative Cloud license and replaced it with a simple Sketch license. 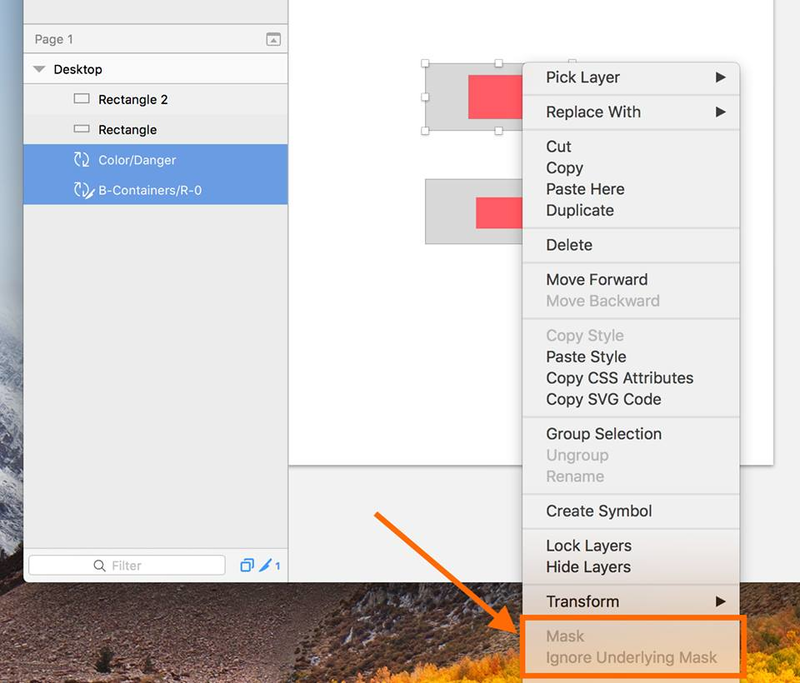 Because of its popularity, Sketch also easily integrates into many other ecosystems (like Zeplin and Framer). This makes it an easy choice for a team to begin supporting design within their organization. Cons: They've been a little slow to react to industry changes (increased prototyping capabilities, increasing importance of design systems) and are setting themselves up to get disrupted just like they did to Illustrator. Overall: I can work quickly, integrate with other software, and stay on-brand with my team. Pros: I love how quickly and easily I can get ideas for interaction design out of my head and onto the screen. I love using symbols to speed up my workflow, and having global colors is great! Sketch really enables me to work effiecently. I combine Sketch with other third party apps to make prototyping easier (even though Sketch does include some basic prototyping). Working with my developers is so much easier because of Sketch. I really couldn't do my job without it. Cons: Number one complaint is font styles management. It seems like no matter how hard I try to manage my font styles for a design using Sketch it quickly grows out of control. This includes duplicate fonts styles, non-applied styles, and just chaos in general. This tool could be vastly improved. I also dislike how slow it can get when using some third party plugins. I know that isn't neccessarily Sketch's fault, but there is one plugin in particular that I use daily that almost grinds the app to a halt. Overall: I use Sketch daily to create user experience designs. It's really the best tool out there right now. Pros: I loved how it's centered to user interface design. We used to use photoshop to design User Interface, though Photoshop is a very robust tool but the features are not UI Design centric, It is capable of doing a lot of things hence UI is not the focus here for Adobe. I love sketch because it is capable of doing one thing and does smartly. Though they have almost all of the basic features required for interface design, Plugins are icing on the cake. If you don't find anything you want the tool to do, 99% chances are you will find a plugin which does. Cons: The subscription model and backward non-compatibility. You need to renew the subscription annually in order to receive an upgrade and that's okey or how the company will make money. What I don't like is you can't open Newer version of the file in Older version. If you work in a team and 6 people are working on one file, everyone needs to use the same version of the software. Overall: Awesome tool for designers, Evolving with each release. Pros: Sketch's ease of use is by far its best quality. With a low learning curve, a user can go from firing up the software for the first time to completing a high quality mockup in a really short time. It has none of the intimidation you feel when starting to use an Adobe product whether its Illustrator or Photoshop. In that regard, it's a lot more similar to Apple's Keynote, which had become my mockup tool of choice until I discovered Sketch, which can accomplish much more in a shorter period of time. Cons: The latest 52.0 release that introduced Dark Mode, also brought slowdowns for large documents. Speed was supposed to be one of the hallmarks of the release, but I've experienced the opposite, with one of my larger documents taking quite a while before it opens on my Macbook Pro. Overall: Overall, Sketch has been a real timesaver that I simply can't work without. Anyone looking for an easy to use tool that delivers on power user features without sacrificing UX, can't do much better than this tool. Highly recommended. Pros: It is amazingly easy to get started with Sketch. There is very little learning curve to get started. It is designed for product designers and you can produce your UX/UI work a lot more quickly than using other software, say Illustrator. The keyboard shortcuts are intuitive and easy to remember, ie R for Rectangcle , L for Line. There are also a lot of 3rd party plugins and integration you can use to do pretty much everything. You can check your color contrast, you can build flow diagrams, you name it. What I like the most of Sketch is it's keeping up to date with the modern product design process. 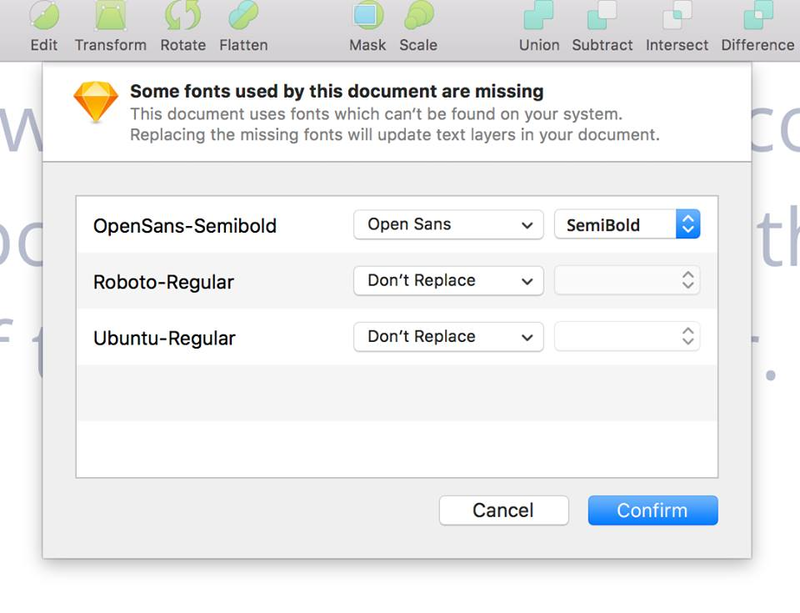 The new Sketch 52 redesign is fantastic, offering killer features like shared styles in symbols. This immediately became the way we build design system. Cons: The only complaint I have with Sketch is the vector tool. It's kinda cumbersome to use compare to Adobe Illustrator. It is hard to do detailed icon or illustration work in Sketch. Pros: I run a startup studio, and that means we build and iterate on software products A LOT. We used to design them in Illustrator, but since we discovered Sketch, the time it takes us to sketch or design a user interface dropped significantly! Sketch makes it insanely easy for designers to quickly sketch out a UI in minutes rather than days. This means they are a lot more inclined to experiment, resulting in better implementations. When we settle on a design, Sketch is powerful enough to allow designers to build the full user interface without switching to a different software. It also integrates well with tools like Marvel to create interactive mockups and Zeplin to export the UI for developers to easily integrate the designs. Cons: I can't think of anything - it's THAT good! Overall: Sketch reduced the time it takes our designers to sketch a UI from days to hours, this in turn encouraging them to experiment more and come up with more creative visual solutions. Pros: This software allows to the users create and add plugins for specific needs. This means the the Designers can collaborate with other designers and you can solve your design needs with this plugins. - For responsive designs and big proyects you will have the "override", "symbols", "resizing" and "data" that will help you to have a rapid prototyping your designs. Is fast and easy compared to other design Tools. - Libraries: this help you to collaborate between your different views in your website designs, oh!! The most important , you can collaborate and share your symbols between your design team members! Is fantastic! Cons: The price for what you receive is good but I don't linke to pay annually. I prefer the lifetime license. Overall: I love this tool, I'm the UX lead of a big company that have more than 25 designers and we use SketchApp as a critical part of our design process. Pros: The best feature Sketch has is the ability for developers to create plugins that help in dedicated actions, such as generate real info like map locations, rename layers and symbols at the same time, populate symbols with real data, etc. That's a GAME CHANGER app, the best part is that the whole platform is non destructive so any alteration you make for some symbol, it changes across the whole project, more powerful if you use the libraries across files. Very powerful and simple interface. Cons: Sketch alone as a design tool is ok, but you need to know that it needs the boost of the plugins, these plugins are independent from the Sketch app team for they are developed open source, some plugins may not work on each update, and some are discontinued, so you cannot relate that the experience will be always smooth. Overall: The best case of use is when creating a whole user experience and interface, the constant update from the Sketch App team solving problems that shorten time doing multiple actions, being non destructive and acting more as a prototyping tool, helps us to create and iterate more design solutions in less time. Pros: I love this software because of the possibilities it gives you, and the truth is that compared to its competitors it is easier to use and more intuitive than the others, it is perfect for designing websites and advertising material, besides having integration with other plugins or tools that facilitate many things, also the management of the different boards is much superior to other software, being much faster and optimized. And a very important feature for me is that it allows you to have the CSS at hand and therefore edit it, it is totally amazing for the creation of websites besides the prototypes you have to start from them are very good. Cons: I have no complaints about this tool beyond that it can only be used with Mac Os and therefore those people who do not have devices that can run this operating system can not make use of this software, and the other thing is that the price is somewhat elevated, but worth it without a doubt. Overall: My experience has been excellent, with absolutely no complaints about this software, I have really managed to design absolutely all the work I have done with it without any problem and without counting that the software is so well optimized that it does not hang at any time and allows the work to become dynamic, entertaining and fast, in addition to how simple its interface is compared to other software allows you to easily achieve what you are looking for, unlike other softwares where you have to try and try again and again up to achieve what we mentally think. Pros: I bought Sketch when it first came out, and I remember thinking, "Wow. A design app that actually looks visually appealing!" I was used to Adobe products, which are high-quality, but still look like they were developed 10 years ago. Everything in Sketch is well-organized and intuitive-I had no problem jumping in and designing a landing page in a few minutes. I like that it's paired more closely with web development (pinning objects to an edge, responsive sizing, etc), and symbols are a pretty convenient way to make your designs more modular. The icon toolbar is highly useful, as well. I like that you can customize 100% to your needs. Cons: I wish Sketch would move even closer to web development in the sense of being able to define global padding sizes, grids, etc. I think the organization of Symbols could be improved to accommodate large libraries. Overall: I use Sketch primarily for developing web design prototypes. I know it's not particularly suited for illustration or print, but it's so pleasant to use, I find myself cheating and using it for those things anyway! Pros: I come from an era, where UI designers used Photoshop, a tool for digital photography, to design interfaces. There was simply nothing better at that time. Then, Sketch was released and it changed everything. It was a vector-based tool focused on UI design. It was something designers really needed! Sketch came a long way and became an industry standard. After a few years it's still a solid software that you can rely on with features you need. Sketch developers listen to the community and release updates often. The pricing is also reasonable. If you're a UX or UI designer, this is the tool you want to use. Pros: After all of the needed plug-ins are installed, the software is decent at creating interactive prototypes and illustrations for designing software. It is incredibly simple to install, as are all Mac products, and offers modest import functionality for other non-native file formats. Cons: Sketch is still very reliant upon third-party plug-ins to handle (what should be native) tasks well. The fact that Sketch is Mac only makes it very limited in usage in corporations with mixed Mac/PC environments. Since macOS cannot be virtualized on a PC, and there is no PC version, more adoption of Sketch requires capital expenditure requests for Macs. Compared to almost any other tool in this space, which is either web based or multiplatform, I don't understand why Sketch is so trendy. Overall: Using Sketch is almost second nature, especially for designers who have used Adobe Illustrator, Axure, or Adobe XD. It handles libraries very well, and has a decent import function for EPS and Illustrator assets. But, it doesn't play very well with Adobe's tools. Given that XD can now import Sketch files, the advantage is slowly shifting back to Adobe as the Creative Cloud is platform agnostic and can read Sketch content and share it across users of all platforms. Sketch gets bonus points for making Adobe embrace plug-ins, however. Pros: Sketch works seamlessly, no matter what. I think performance is one of the best aspects about Sketch. Unlike other design tools I've used in the past, Sketch performs well even when I've got multiple software running or I'm designing a lot of screens. Additionally, the UI for sketch makes the learning curve quite minimal. It references a lot of software I've used in the past but it places all tools available up front, vs hiding it on menus. Cons: Windows version. It would allow me to work on both PC and Mac's. I don't always have my Macbook available, however Sketch is currently not available for PC's. PC integration would be great and allow me to work from multiple devices. Overall: I use Sketch primarily for work/business. It has sped up my design process tremendously. Performance is great and it syncs with a lot of other programs that I use in addition to sketch. Use it every day for software interface design and logo creation. Pros: Tools are clear, and presented in a very clean and logical fashion. The learning curve was steep when transitioning from Adobe products, but once you are able to align your mindset with Sketch's workflow, you can advance quickly. Once you master the workflow, you are able to accomplish some pretty advanced things. I have used deeply nested symbols managed in their new 'Sketch Library' feature amongst my team with some amazing results. All our designs can stay consistent and in-sync without significant change to my daily design process. Cons: Sometimes import and export renders some odd and unexpected results, causing me to search the internet for the right answer (or sometimes no answer is even available). As updates are made to sketch, certain (sometimes obscure) functionality seems to break without explanation. An example of this would be exporting nested artboards - which in itself might have been a hack to begin with, but it was one I used consistently and reliably until a recent update. Overall: The tool is clear, clean, and organized so that my interface design workflow is effortless. Great for everything from rapid prototyping to complex UI design. Pros: The best part about Sketch is the plethora of plugins that are available which adds very useful functionality to the tool. From what I've understood, the Bohemian Coding team supports plugin developers quite a bit. The software is also very easy to use, which lets any one pick it up in just a few hours. It's simplicity helps us designers focus on 'designing', and with the implementations of symbols and libraries, we can now very easily work with repeated components that are vital to product design. Cons: The fact that it is only MacOS based is a huge drawback. I'm forced to use a Mac just to use this software. Also, the prototyping functionality needs major upgrades to compete with other new and upcoming tools. Overall: Adopting Sketch has drastically reduced the time required to design for projects across our company. Ideal design tool for app end web developers. Great value for money. Pros: It's really easy to use, even for a newbie designer or a non-designer person. It could be considered for designing and developing web assets and applications UI, from modest to large projects. We had to choose a design tool for websites and web-applications and choose Sketch because of it's price tag (it was cheaper than Adobe suite). Cons: It is not available for Microsoft Windows users and that's an issue if you want to share project files with developers that use this OS. Another feature that could be overly improved is native SVG support. If you try to export your designs in SVG, which is the golden standard for modern web, be prepared to face some issues. Recent updates fixed some issues with SVG, but Sketch SVG support is still sub-standard. Overall: My team succeeded in designing better websites and user interfaces. Using it's symbols we now pursue design engineering as we do with CSS and other technologies. Are design deliverables now are more DRY (Dont Repeat Yourself) and easy to maintain. Pros: 01. The learning curve is incredibly low. 02. Vector based, all are convertible to different screen size. 03. The work process is quicker compared to other apps. Reduced the stress of the tedious job. Best for quick iteration. 04. Symbol makes life easy for repetitive layout. 05. Tons of plugin option and easier to build own script. 06. File size is incredibly lowered then other apps. 07. Exporting any image for developers is much easier. Cons: 01. Only available on mac, no windows version. 02. The prototype feature is a waste. 03. I miss some basic image editing feature. Like masking and erasing smoothly out some part of the image. Overall: Overall experience is great. Makes the product journey faster for any scale of the company. Presenting design for class to stackholders fits in all of aspect. Sketch is a tool I use every single day, and it works like a gem. Pros: Value for money is spectacular! Paying once, was a god sent. 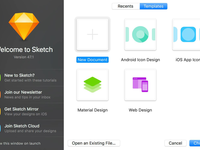 Sketch overall has great functionality for both desktop and mobile platforms. Attaching the plugin for canvas makes it easy to make the wireframes into prototypes. The vector outputs create majestic graphics, and the functionality for creating new pages saves my life when I need to start from scratch and save old work. Cons: If it were a PC product, I'm sure many people would be significantly happier. Unfortunately, it's only for Macs which I don't mind because I have a Mac. 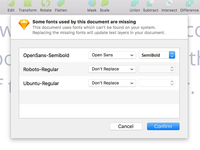 Also, sometimes fontawesome doesn't work in Sketch and it just put it straight into the .Lastresort text. which is really frustrating. I recently figured out how to fix it. Also, it limits logo design, which is fine with me because I have illustrator. But it is always nice when you can do all things in one place. Overall: Sketch overall is a great tool for designing wireframes, and creating workflows. I'd use it over XD any day! Reliable partner for all your digital design needs. Great piece of native software for a fair price. Pros: I like that Sketch became some kind of a reliable design workhorse that can handle any task you need to do without compromising ease of use. They recently added native prototyping features so you can wire up the screens to simulate final product. Integration with Sketch Cloud makes this a poweful tool for collaboration with clients. Furthermore, anything that Skech currently can't handle you can find plenty of mostly free plugins to help you. I definitely like the direction where Sketch is going and for the price you really can't go wrong. Cons: To be honest, not really much to say here. One can always complain about lack of some specific features, but I don't think that's objectively relevant. From time to time, some minor bugs appear, which is common for every software, but they usually get fixed pretty fast. From the last update that included Prototyping and Sketch Cloud features the sidebar got a little crowded. Pros: The amount of customisation possible via an infinite number of widely recognised plugins is a must. That, and the possibility of creating shared libraries are the main features that make a team truly capable of creating and maintaining a serious design system. And let's not forget the price: the bang for buck out there. Cons: One of its finest features is sometimes one of its worse. As update versions of the software, you try and add-on new plugins, this can become a bit buggy. In the end, I think it just comes with the nature of the software. Overall: Sketch is my go to software for anything 'screen design'. I've been designing for mobile, web and TV using SketchApp. The competition coming from the big names is getting fierce but integrations with InVision (already a competitor) and Zeplin, still make Sketch take the win. As a UI designer when I got the chance to use Sketch, it changes my workflow & designing experience. Pros: 01. It's very lightweight & fast tool. 02. It's very simple & easy to learn & use. 03. It's really optimized for UI designer. It has accelerated & improved the workflow & efficiency a lot. 04. It has lots of plugins. Plugins have added additional flexibility in sketch. 05. It really worth the price. 06. It has great community for support. Cons: 01. The vector editing capabilities & flexibilities of Sketch are still now up to the mark. 02. This tool is only for MAC. No Windows version! 03. Image editing is pretty basic. 04. Prototyping features is currently for rapid page to page transition. No features for advance prototyping. 05. SVG exporting & support are not very good in Sketch. 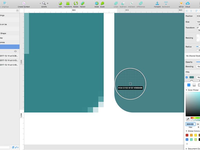 Overall: Sketch has become my must have tool for user interface designing. It is now part of daily life. Pros: 1. I really like that this is a tool built specifically with UI/UX designers and their needs in mind. I am new to the design world and hearing/reading about how designers used to (and some still do!) use Photoshop, Illustrator etc. tools built with a completely different use case in mind was insane to me. It's like trying to bake a cake with a toaster, it could work if you tried really hard but you'd have to try REALLY hard. With Sketch I don't have to find a way for it to work towards my needs, it already anticipates them. 2. The community. There is a very strong, vocal and creative community around Sketch. The fact that it is open source and people are building plugins, adding to the power of the tool and covering gaps that the tool may lack. There are also a ton of forums, youtube videos, gatherings etc. which both help you to use the tool in many more ways as well as add to your creativity and inspiration. Overall: Overall very happy, makes a lot of my tasks at work easy to handle. Plus, since the time I needed a new Macbook and deciding to go into UX design clashed, one of the main factors for me to switch to Mac was actually Sketch. Pros: The best feature I feel for sketch is its ease to create high-fidelity prototypes and mockups that can mimic user interactions and provide for a user flow. One other feature I love about sketch is its custom library wherein a designer can create custom brand specific elements and store them in a library. This saves a great amount of time in the future. One of the smaller features I would like to point out is its data feature wherein a designer can pull in dummy data from the library or add custom data to populate multiple elements in the project. This makes it so much more easier to make mockups with custom data for an app. Saves a lot of time too. 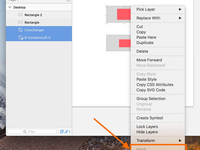 Cons: One of the biggest cons of Sketch I would say is it's limitation only to Mac users. Me being a Windows user initially had to rely on my fellow designers with a Mac for sketch usage. I had to shift to a Mac for me to get an hands on experience with the software. One other con I would like to point out is its lack of a feature for project collaborations. This would have been of great help to sort of get quick comments and suggestions on designs in real time. 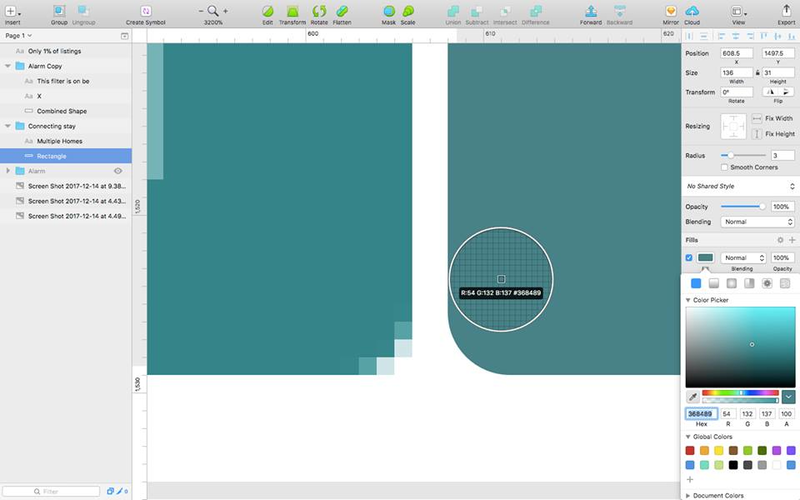 Overall: Great tool for creating high-fidelity mock ups and wireframes. Still a lot of room to improve. The best tool for UI/UX Designers. Period. Pros: - Ease of Use. It's just amazingly easy to learn. - The new library feature makes it great for developing a shareable design system. - Pretty affordable and simple licensing system. - Plugins make life a lot easier. Cons: - Lack of photo editing qualities. - Can't create dynamic prototypes with angled phones and different effects, I had to use Photoshop and import it to Sketch. - Would love a Cloud Based Plugin Sync for people using multiple computers. Overall: What I like most is for sure the simplicity. Imagine if they removed everything you don't use in photoshop and added the remaining features in a cleaner UI. Great for mocking up user interfaces. With the new implementation of shared libraries, it's simple to keep all of your assets up to date. This type of feature was requested by users and was incorporated after some testing. This type of thing happens all the time as Sketch constantly pushes new versions of their app. Pros: I've used Sketch for a few years now, it's very easy to pick up, especially if you're familiar with the other design tools out there in the market. As well as the support they provide on their website https://www.sketchapp.com/support/ I also found loads of helpful tutorials on Youtube that satisfied any issues I ran into. Cons: I find more flexibility in the drawing tools of Adobe, but if you're just new to this space and starting out with things like wireframes and logos, you should have more than enough options in Sketch to satisfy your needs - and it's only getting better. Overall: They'll need to work hard and keep adding new and innovative features to keep up with the many competitors in this space! Overall: I'm not a designer, but Sketch makes it super easy and simple for me to layout and design websites. Without Sketch, web design would be a complete and total nightmare. I tried Photoshop and other design apps for website design, but I spent more time learning the apps then designing. Sketch got me going fast and helped me learn what I needed to so I could get better at designing faster. Pros: Sketch app has very intuitive and easy to learn keyboard shortcuts that made it very easy to learn and get started on. It combines functionalities of Adobe Illustrator and and Photoshop to make digital design very fast and easy. Cons: Unfortunately, it is only available on Mac... This limits who can use it, but it's price and quality outshine this downside since I am a dedicated Mac user. It's vector graphic functionalities are a little squirrely, but it imports vectors easily from other platforms. Overall: I have been using the software for 3 years and have enjoyed watching its integration possibilities expand. For most everyday design tasks I have replaced the Adobe suite with Sketch app for it's precision and intuitive nature. Pros: I love the simplicity of Sketch. The interface is distraction free and the shortcuts save a lot of time. Sketch is definitely more intuitive to use for UI/UX design than other popular design softwares, mostly due to how easy it is to create/arrange artboards and the prototyping features. Cons: Sometimes, I do experience lagging issues with Sketch, so if anything could be implemented to improve the speed that would be a bonus. It would also be great if Sketch could include live collaboration features, allowing multiple users to work on one file at any time. Overall: Overall, Sketch is a great piece of software for any designer - it's inexpensive, but has a lot of great features. Excellent tool for UX/UI designers. Pros: Super simple an intuitive interface - everything is built in vector which makes the design job easy. Quite cheap as compared to other available products. Lot and lots of plugins. Mirroring your work live on a mobile interface. Very frequent updates of the tool to fix all small and big issues. Cons: Isn't available for Windows users yet. Prototyping wasn't available till very recent times but now it's there, with limited functionality. Overall: We're able to design and iterate of designs very quickly. Export assets in various sizes very efficiently - which are directly usable by the developers. Pros: Sketch changed the way I think of digital design software. This is a design platform that's really been developed with digital products in mind, from websites to apps. It is a game changer. The introduction of symbols that one can re-use throughout the design, the ability to easily maintain styles synced on all the pages and artboards, and the ability to see your designs live on your phone are some of the main reasons why I use it everyday. Cons: Some versions have been crashing a bit, but the developers are really quick at delivering new updated versions to address the issues. Pros: Sketch is awesome, the plugin integration, the features, the upgrades, its perfect for designing UX and UI solutions. Couldn't recommend this software more. Its a complete package and with regular updates, it keeps getting better and better. Cons: Version control could be improved and symbol structuring with prototyping capabilities. When me and someone else is working on the same file, it becomes really difficult when we start to merge our work as it creates duplicate symbols and messes up the files. A way to clean up your symbol library and organize files much better would be awesome. Pros: Sketch is a powerhouse for productivity in interface design. It's symbols, overrides and plugin system really make design scalable and easy to iterate. Also, it has a variety of integrations with other common design tools (InVision, Zeplin, Atomic and more) which is also a plus to connect your design workflow. Cons: It is a little difficult in the beginning to get the hand of it, but after that everything is faster to do! Also, it has some initial prototyping tool which helps with basic needs (so don't depend on it for more advanced interactive prototypes). 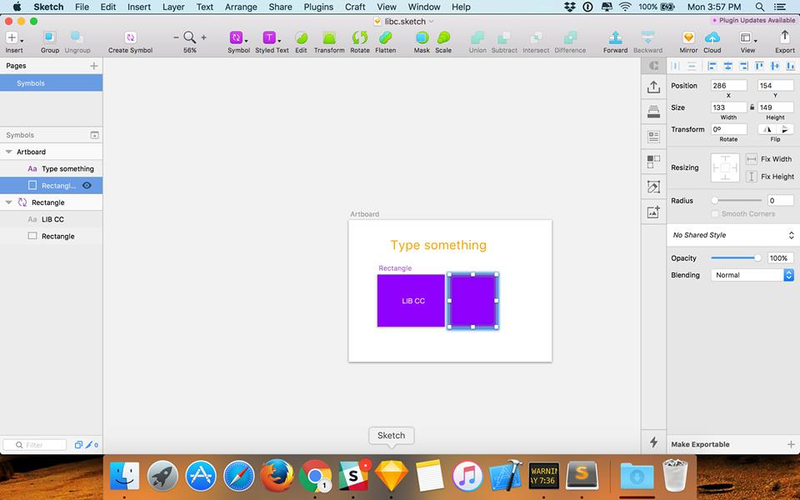 Overall: Sketch is a tool designed to boost designer productivity when creating interfaces. It supports scalable products really well by having a set of powerful tools to design and iterate. Definitely a must have in your design toolbox. Pros: Sketch really started a revolution in app and web UI design, building a domain-specific tool for these purposes, unlike the more general tools offered elsewhere. Even as the software has developed and new features have been added, the usability has remained solid, to the point where business stakeholders with no design/tech background have been known to jump in and prototype their ideas. Cons: Sketch Cloud, while great in theory, just isn't coming together as quickly as I'd like to see. Everything basically works, but the web version feels slow on all but the fastest connections (due to not preloading the next screen when flipping through screens), and display consistency across platforms isn't great (eg transparency displayed as white on some platforms, black on others). It also appears there's no way to hide certain screens from Sketch Cloud, or to hide all symbols - the latter being a pretty commonly requested feature. Pros: I like that it looks simple yet it is a powerful tool. I can create user interfaces, wireframes, site maps, user flows with a few clicks, etc. Even a complete design system can be created using Symbols. Also, there is a huge and dedicated community supporting the product and creating countless plugins. If you are thinkin about becoming a digital designer, I could not recommend Sketch highly enough. Cons: Sometimes - more and more rarely though- you will run into small annoying bugs. Working with 30, 40+ screens can cause the software to be slow a bit. 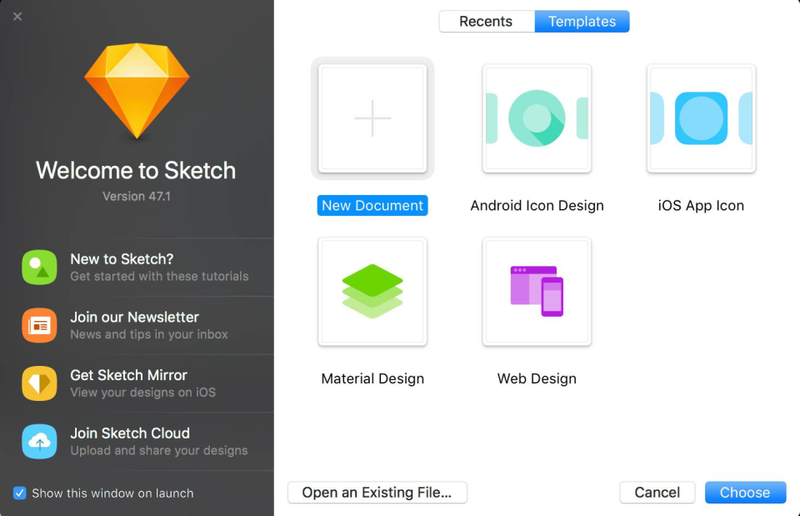 Sketch is a pioneer in the UI design tool market. Definitely a game changer. Pros: I love the ease of use, it is easy to hop on board especially if you are already familiar with past Adobe products such as Photoshop or Illustrator. Sketch is also lightweight and will definitely help with your performance on bigger projects. Cons: Certain updates do break some of your compatibility with your 3rd party plug-ins. There are recurring bugs that happen at times where 1 update it is solved but the next update it resurfaces again. Overall: It helped streamline my design workflow into one where I could more efficiently work with my other design colleagues and also helped me develop faster workflows. Sketch is a great design tool that fit all kind of projects. We also use this tool to make logos, and other small stuffs. What I love the most is the ability to add plugins that improve/automate some small task and give us the opportunity to be more efficient. Cons: Sketch is a great tool but has a lots of bugs. Most of the time it's okay because it is fixed quickly by there team. There is a lot of new versions, but not that much of new useful features. Pros: The best part of sketch is the easy way to create templates that allow you make mockups on iphone mac and other devices. You can import assets like iOS and browser buttons that make designing anything a breeze. I also love the fact that you can almost instantly export and preview live on any device! I use this daily and its always my go to when create mockups or in depth designs before coding it out. Cons: The functionality is limited if you dont pay for it, but hey it's worth the money! Overall: Essential in our design stack, can't live without it! Pros: I can't list all the good things about sketch, it is really easy to use nothing complicated or counterintuitive. Also the community who develop plugins has to be one of the greatest, if the software itself is great with plugins is even better. Also in a world where almost everything is monthly subscriptions having a software that has a yearly license is like fresh water. Cons: There is little that I don't like about sketch, one can be that sometimes it takes big chunks of my RAM. But outside of that can't think of anything else. Pros: Sketch is the ultimate design tool for any UI/UX design you can think of. The basic features are enough to accomplish any design task out there, including symbols and design libraries, prototyping, etc. For anything else, the extensibility via plugins is endless. Cons: The vector tools are not as powerful as Illustrator, making logo design a feasible, but difficult task in Sketch. Until they improve the vector editing feels, Illustrator still remains the undeniable king of logo design. Pros: Sketch is a well-organized and flexible design tool. Although it has tons of features, it distinguishes itself from Adobe apps (that also have many), by keeping up the ease of use. One can easily dive into that new tool, if they've never worked with it before, because it's so straight forward; yet one can do so much with it! Also, it's neatly designed, and what I like most is that you realize Bohemian is constantly developing their product adding new features, fixing bugs, etc. Their customer support is really fast in responding, helpful and kind. Cost-value is absolutely balanced. Their license type (buy now and receive a year of free updates) is super fair, yet affordable and still gives you an incentive to refresh your license every once in a while. Cons: There's nothing that I don't like about Sketch. It's so versatile, yet easy to use. No cons. Pros: Easy to use, and the tool is very light compared to the similar ones in the market. I have used this for designing several high fidelity UX screens for software products (both web apps and mobile) with relative ease. The best part is Sketch integrates with various plugins which allow me to be even more productive. The developers I work with love the fact that I can give them exportable HTML files which specify accurate dimensions down to pixel precision. Cons: The fact that it is restricted to Mac users alone has proved to be a stumbling block when I had to collaborate with other designers on projects who were non-Mac users. Overall: Ease of use; Productivity; Simple learning curve; Cost affordability. Pros: Sketch is a wonderful tool for web design. It has many capabilities and features that make it revolutionary for website designing, such as their symbols, character styles, and user interface. Compared to Photoshop, Sketch has a lighter, open, clean interface, which for me promotes creativity and is liberating. I am also able to create symbols and styles that can seamlessly be applied to many pages in a website while I design. Cons: Sketch doesn't do the best job at taking into account designing for various screen sizes, like some other programs might. Responsive design is so important today, and I wish Sketch was up to date on this with more responsive capabilities . Pros: The learning curve is low. It is easy to use and is also very light on the computer. Recently they have introduced dark mode as well which I really love. Cons: The prototyping functionality although present is somewhat limited and hence I need to further use software like Framer to add more life to my prototype with code. Overall: Summarised - This software is great for beginners, especially people coming from a development or product management background. However for the advanced experienced designer, it has been recently challenged by new prototyping tools like InVision Studio and Framer. All designers should use it for Prototyping! Pros: It is one of the simplest platforms to design and generate visual prototypes. The new update allows you to build functional previews. It is based on seeking standardization, from generating text styles to the manipulation of elements and objects. Cons: It's a little difficult handling the guides (you can try with third party plugins). Compared with other software the EPS rendering are not so good and make the logos different. Overall: Fast prototyping. Easy of use, one of the best UI. Great for exporting assets. Give an order to your designs. Great licensing options. Pros: Unlike Photoshop, Sketch is actually designed and intended to be used by designers building software products. Sketch's growing user community and powerful feature set make it our hands-down favorite for company-wide design iterations. Cons: If you're unfamiliar with vector design tools, the learning curve can be a bit steep at the beginning. However, once you get the hang of it, it quickly becomes a powerful tool that enables our designers to create rich mockups and wireframes that can be easily shared across our organization. Overall: Our design team is very small, so we let each designer pick their own toolkit, and of the few who originally picked the Adobe suite, they quickly transitioned to Sketch supporters within a mater of months. The fact that Sketch was designed from the very beginning to be a design tool for software development makes it the most feature-rich and extensible design platform we know of, and we've been tremendously happy with it thus far.